I'm gonna say it, ready? Christmas. Yup, that's right CHRISTMAS! It's not actually as far away as you may think and can you really be too prepared? I love getting my shopping and organising done well before December, so my apologies if you're a big believer in waiting until after Halloween but today I'm sharing my money off code and review of Magic Santa Letters! This Christmas is my little dudes first proper one as he was a mere 11 days old last year. 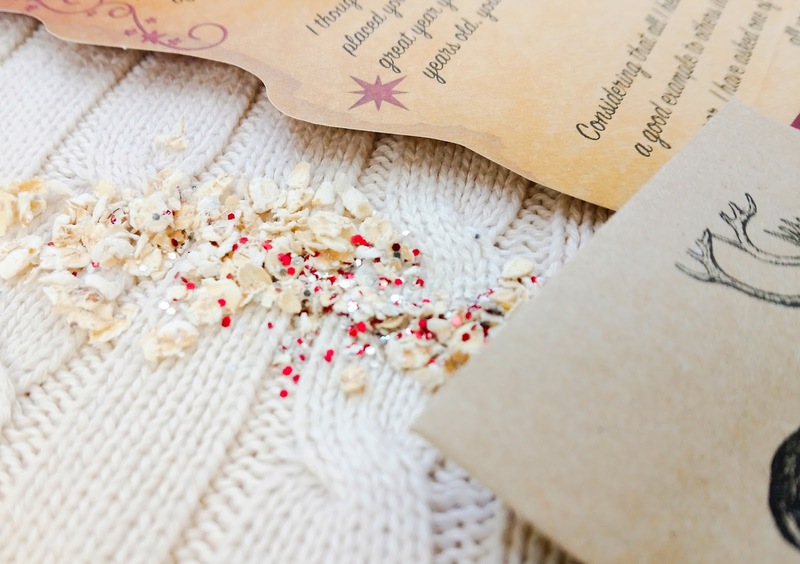 I was contacted by Magic Santa Letters to get one of their 'truly magic' letter options to review and despite him being a little bit young, I thought it would be a lovely keepsake and just add to the magic for everyone else. Ordering on the website was super easy, simply pick the option you want and fill in the gaps for a personalized letter. As I said I got the truly magic option which is normally £7.99 but they also offer various other options too! In the truly magic package you get a partially personalised letter (there is an option to have a fully personalised one), a good child certificate, magic reindeer food, a Santa stop here door hanger and 4 free Christmas themed colouring sheets. It all comes on high quality 160gsm paper made to look like a scroll, in a gorgeous envelope that looks like something out of a Christmas film complete with a north pole stamp mark! 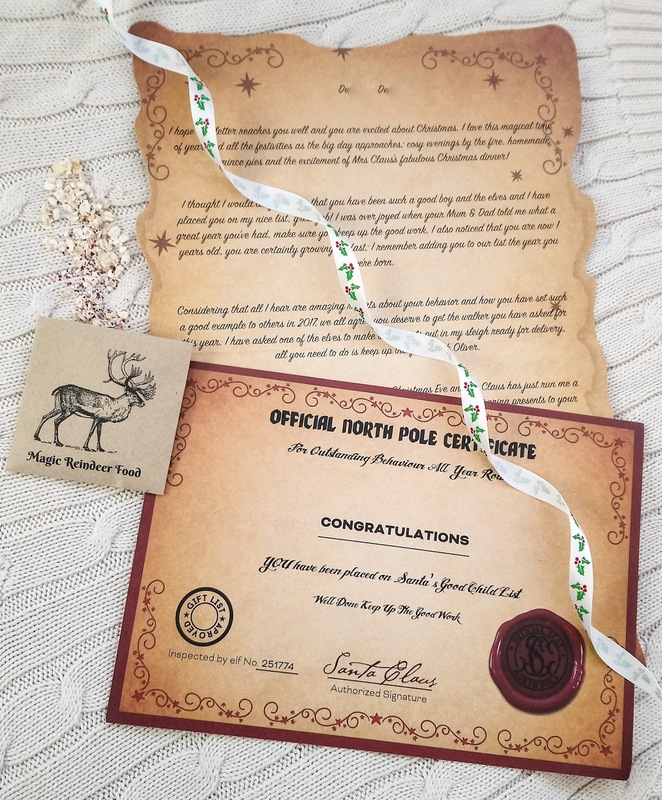 The certificate is utterly stunning with a 'wax stamp' and signed by the ole bearded one himself. 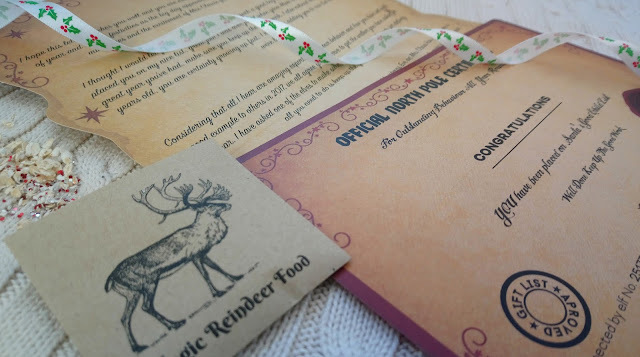 The reindeer food comes in a little paper envelope with a reindeer design on the front and contains red and silver glitter mixed with some oats, not fit for human consumption and probably one to just put on a plate next to Santa's cookies rather than outside but it's magical regardless! 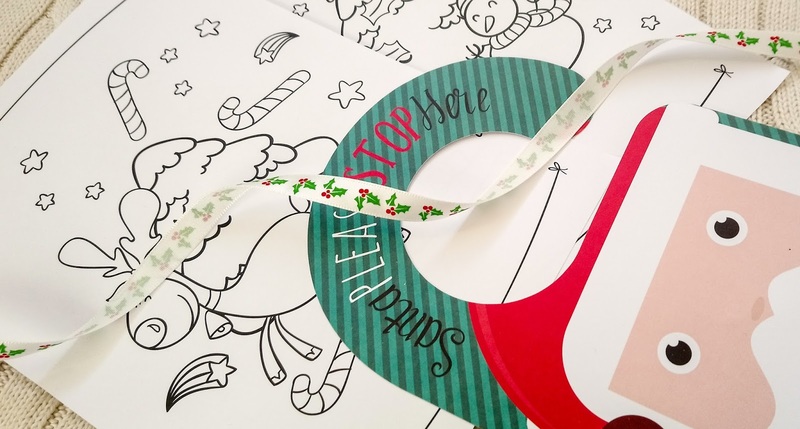 The door stop is a lovely addition to the kit and it's perfect for any little believer, matched with the four colouring sheets it really does make the magic come to life. I was so excited when it showed up on my door mat, it's so well done that it really does feel like Santa could have sent it himself and the quality is incredible. It really is worth the price and I can imagine any child's face simply lighting up! Now not only did Magic Santa Letters send me this to review but they also gave me a money off code for you lovely lot! So if you fancy getting your little ones that something extra special this year head over to the website -MagicSantaLetter.co.uk and use the code R25OFF so you'll pay just £5.99 on the £7.99 option and free shipping huzzar! What do you think of these letters? Personally I'm super impressed and head over heels in love with the little details that are included! There's lots to choose from on the website from single parents and carer options to three different letter wordings, completely personalised and even one for babies first Christmas! *money off code is an affiliate code. I love this. I can remember when I got my first letter from Santa when I was a kid, it was literally like a dream come true. This one looks really good - the design of it makes it look even more magical!